Meredith West has worked with Dr. Mountcastle since 2009, and she specializes in plastic surgery and minimally invasive endovascular procedures. She enjoys seeing patient successes, and performing procedures in the office like sclerotherapy, BOTOX and fillers. She earned a bachelor’s degree at James Madison University and a master’s degree in physician assistant studies at Shenandoah University. Now, Meredith is a nationally Board Certified Physician Assistant at Mountcastle Plastic Surgery & Vein Institute. Meredith is married and has two beautiful daughters. Quality time at the West household includes traveling and simply enjoying time together as a family. 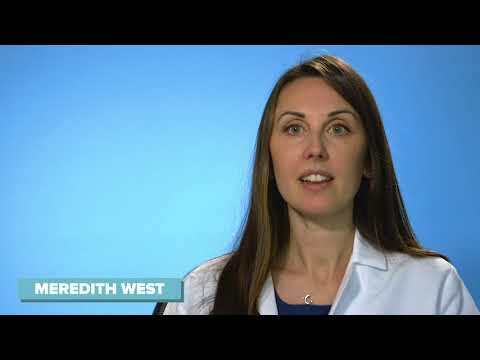 Meredith West is a nationally board-certified Physician Assistant, who specializes in plastic surgery and minimally invasive endovascular procedures.